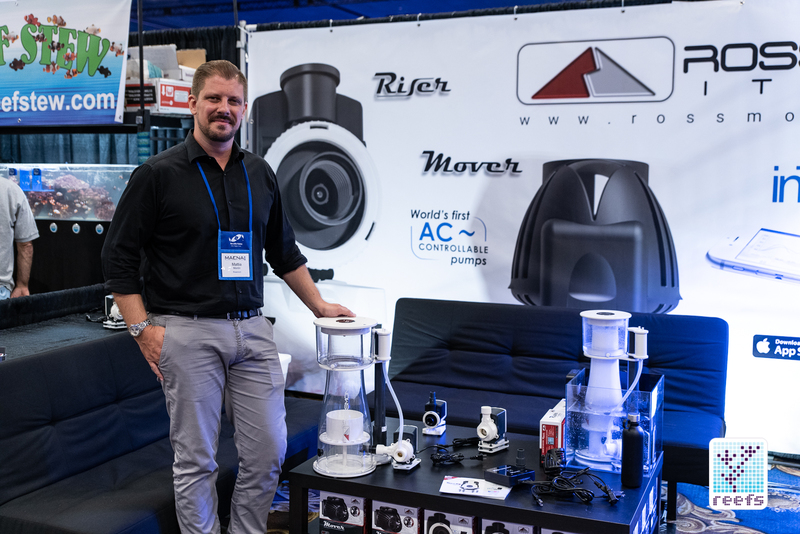 Around this same time last year, I sat down with Mr. Mattia Monti, co-founder of Rossmont, to discuss the technology behind the company’s groundbreaking AC controlled propeller pumps. At that time, Rossmont had several different-sized wavemakers, a single model of a return pump, and a Wi-Fi controller that both devices worked with. 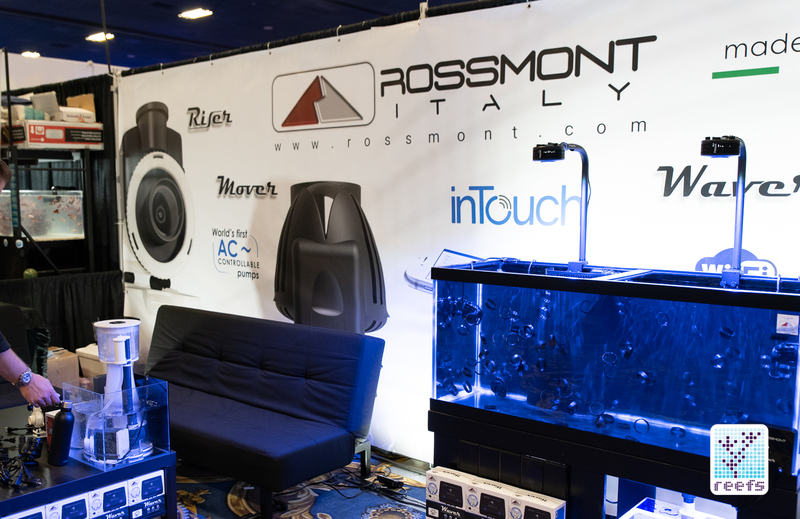 At the end of that short interview (which can be found HERE), Mattia promised me that next year, Rossmont would have even bigger news and more product releases for the aquarium market. Well, one thing is certain, the man kept his promise! 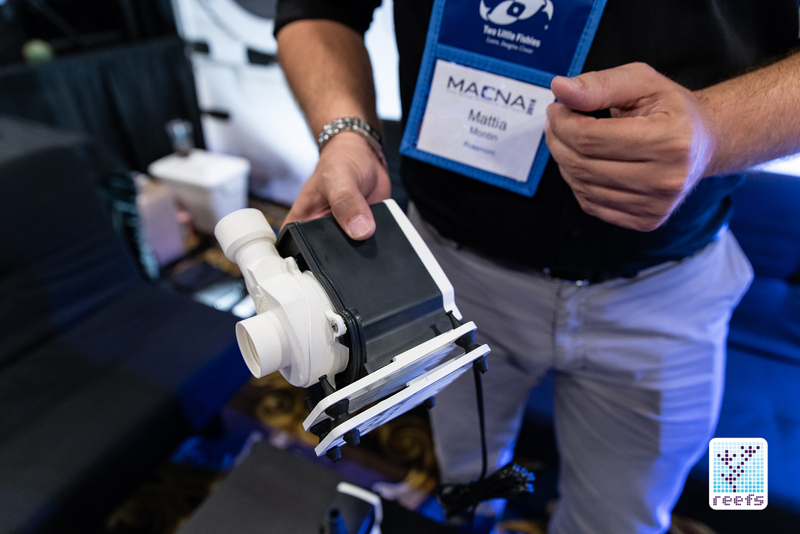 Come MACNA 2018, Rossmont unveiled not one, but five new products that currently are in the late stage of development, plus the mobile app that every user of their products has been waiting for patiently; it has finally passed beta state and it is available for free in both iOS and Android versions. Let’s dissect the announcements and hear what Rossmont plans for the future from Mattia himself. 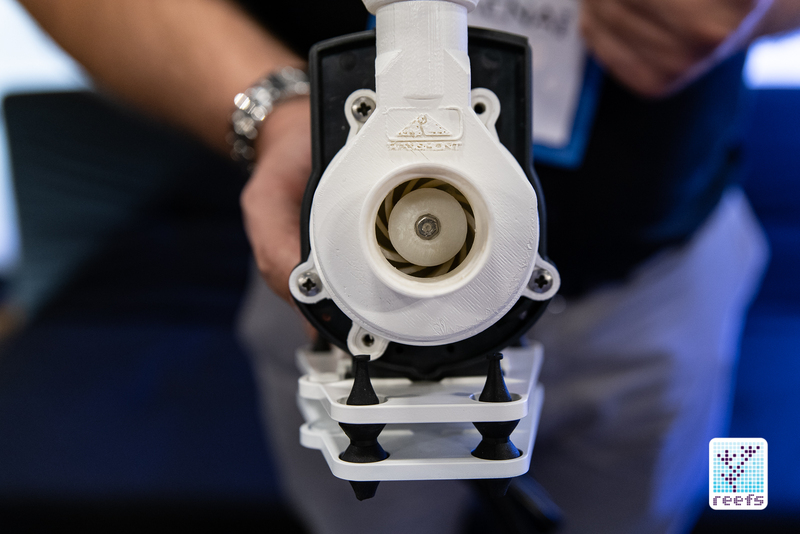 Rossmont is currently working on four products belonging to two categories, and all of them are based on the same core idea- a new recirculation pump. 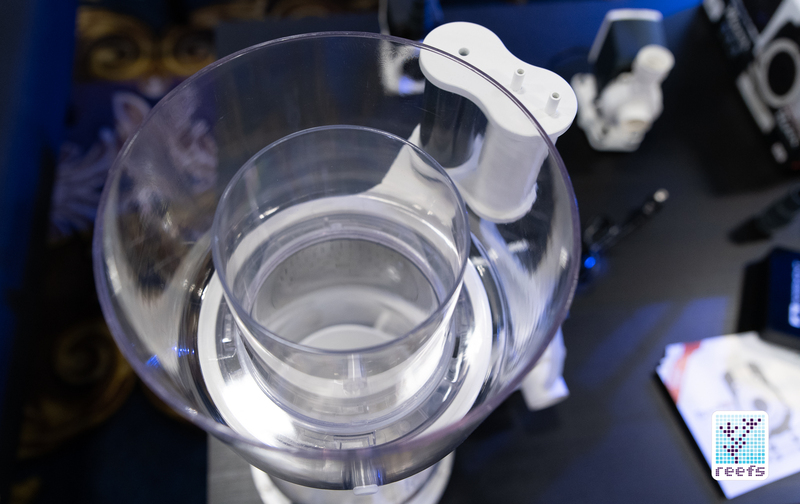 The products are two models of protein skimmers and two return pumps, all sharing the same controllability characteristics with the existing Waver and Mover lines, which means that the user has the ability to slow them down using an articulating (AC) electrical current. 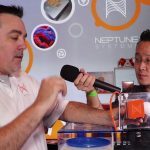 There are several advantages to an AC controlled motor (as opposed to the DC pumps that have become a staple in the hobby), which we touched on in the interview part of this article (transcript below). Let’s start with the new return pump line called Riser Rx- there are three models, all larger than the existing Riser. The most powerful one, Riser Rx2300, has a turnover of 2300 gph and 15ft of maximum head pressure, while the slightly smaller of the two, the Rx 1850, is rated at 1850 gph and finally the Rx1400 has a turnover of, you guessed it, 1400 gph. 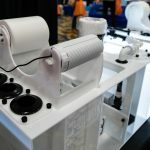 All three pumps have redesigned dual rubber padding for maximum noise and vibration dissipation, as well as a new impeller that allows for lower power consumption. The two floor models I was shown are prototypes, but the actual production model will look very similar to what you see in the pictures below. 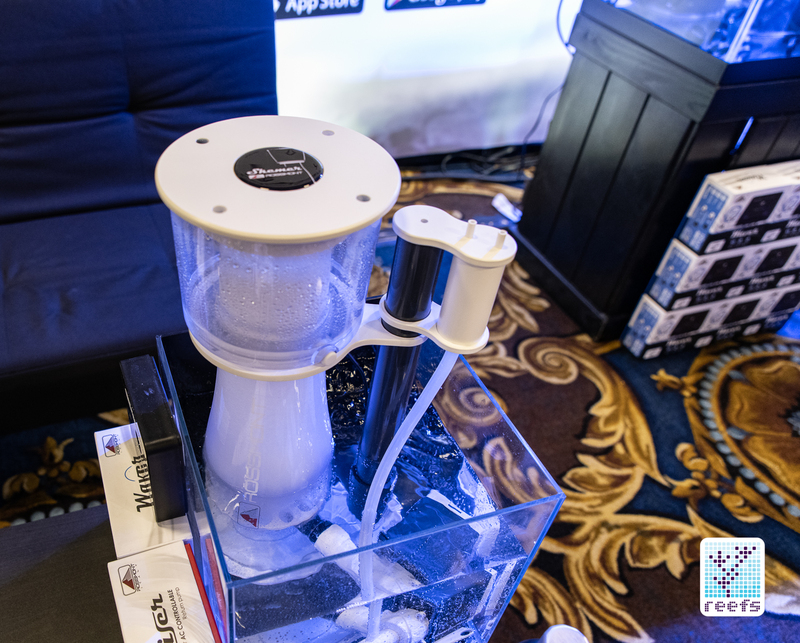 Rossmont modified the new pump and put in a needle impeller to develop a brand new product, the world’s first AC controlled protein skimmer called Skemer. It will be sold in two sizes, a 250g rated one and a 500g rated one, called s250 and s500, respectively. 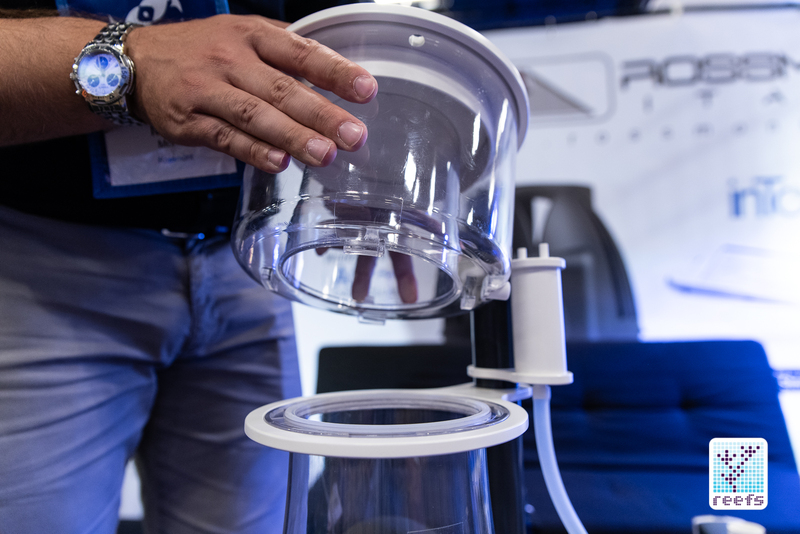 Both skimmers look really manageable in size, and they are equipped with large, externally mounted pumps to provide efficient skimming power to the cone shaped body. 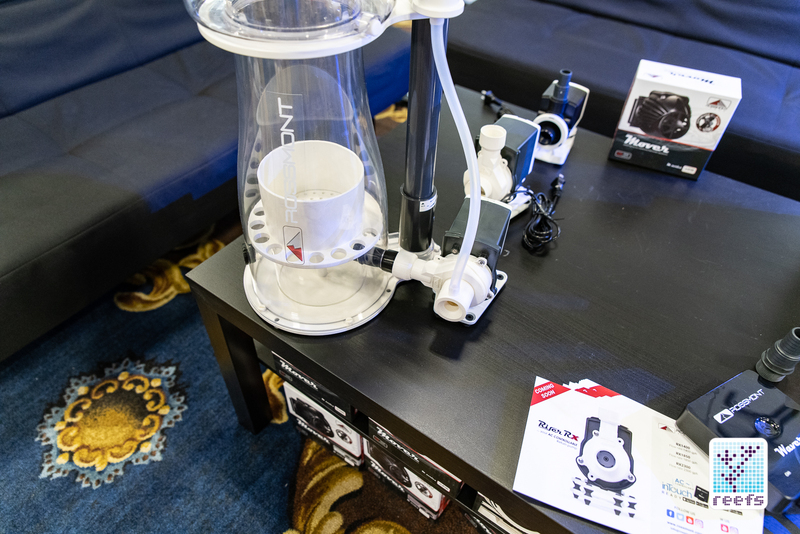 Speaking of the body, it features a modular design for easy access, a detachable base, and a twist-off skimmer cup. 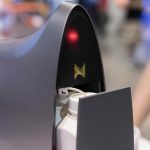 Both skimmers come control-ready when hooked up to the company’s Wi-Fi module, the Waver. In other news, Rossmont finally came up with a working version of their app (ios and Android versions available), complete with built-in voice commands, so customers can use the full potential of their products without the complicated process of accessing a web-based local control platform. I haven’t played with the app yet, but I will be installing it as soon as I get home from the show. I will allow Mattia from Rossmont to fill us in on what else we should know about the company’s upcoming products: Me: Hey Mattia. Here we are, a year later and you delivered, as promised! Mattia: Yes, yes [smiling] Me: Tell me, what are these new products you’re about to release? 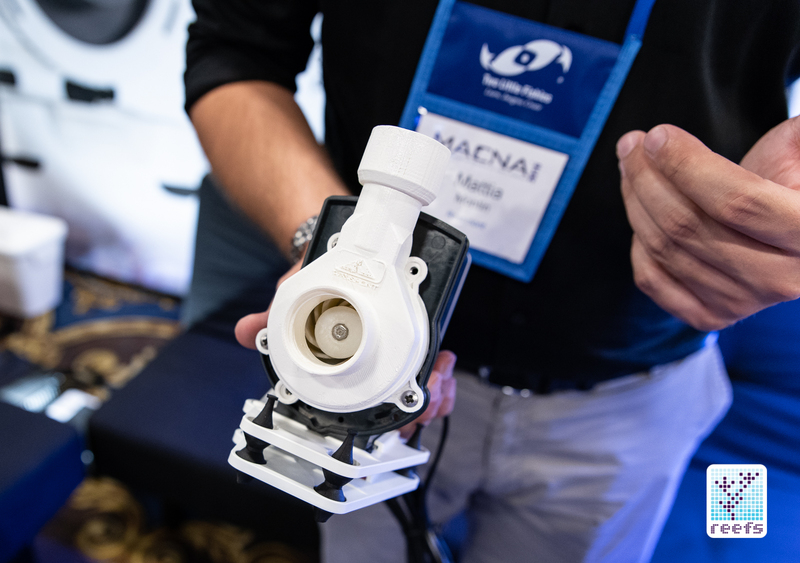 Mattia: We are coming out with three new sizes of return pumps in the first quarter of 2019. This here [showing me the pump in the picture below] is the largest pump, rated at 2300 gph. It is obviously still a prototype, but we’ve changed quite a lot in this design. We have a new, curved impeller we came up with, that allows for great performance and low energy consumption. It features our signature dual base that silences the pump completely while providing up to 15ft of head pressure. Then we have the slightly smaller model, the 1850 gph, and the third is rated at 1400 gph. Me: Great. Then, we have the skimmers… Mattia: Yes, exactly [pointing at the two cone-shaped protein skimmers running in a small glass sump], we took the motor from Riser Rx and put a needle wheel impeller to use in these two Skemers [name of that skimmer line and yes, it’s a funny name :)]. We have two brand new skimmers coming out, one for tanks up to 250 gallons in volume, and one rated for up to 500g tanks. Me: These skimmers look compact for what they are rated for. Mattia: Yes, they may look small, but they aren’t really. 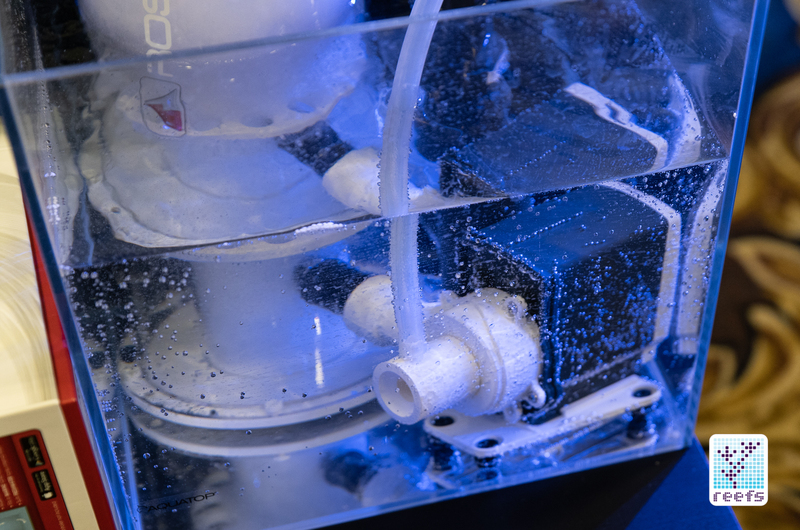 The pump we use is very large, and as we wanted to reduce the skimmer body size and utilize it completely as a skimming chamber, we decided to put it outside skimmer’s body. Also, skimmers with external pumps are much easier to clean and maintain. Me: What other features does your skimmer line offer? 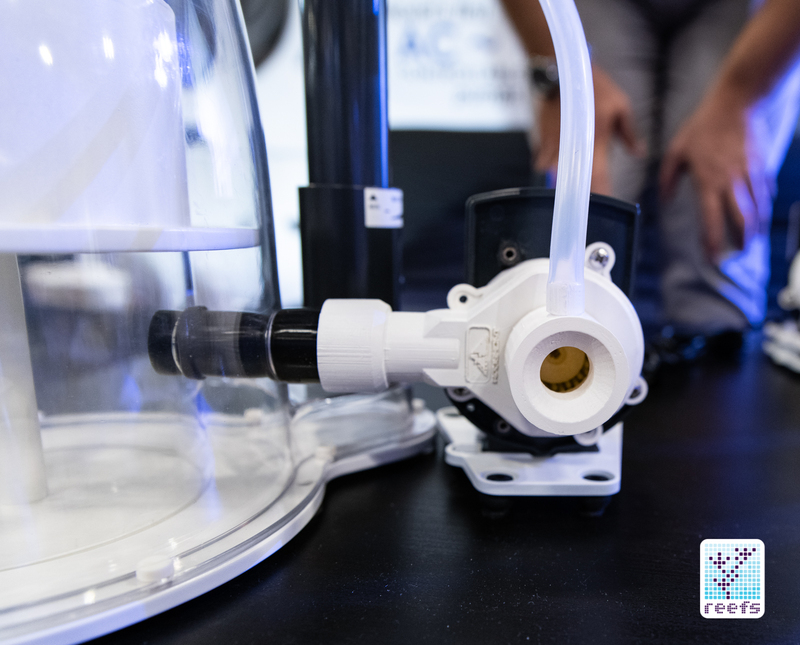 Mattia: We have a removable base for easy access to the skimmer body, a twist off skimmer cup mechanism and a drain pipe with ball valve we provide for free in the package. Perhaps the biggest feature is the fact that Skemer can be controlled by Waver. 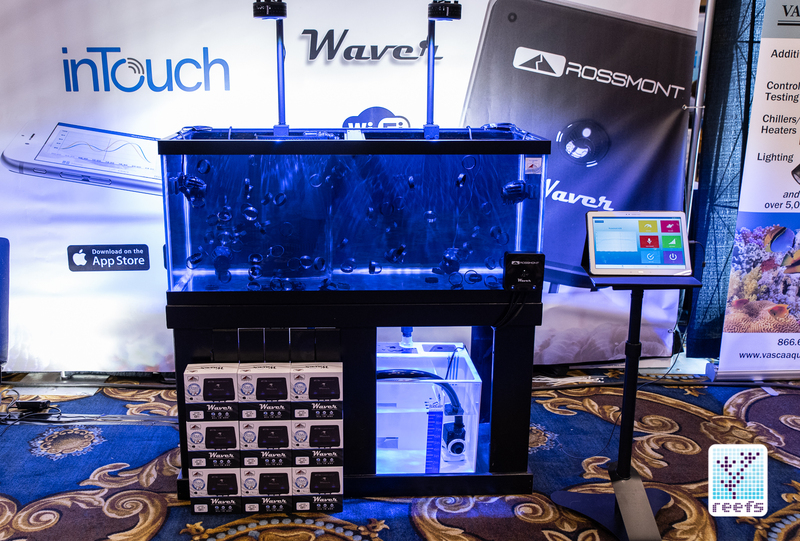 Now, an owner of Rossmont devices can control his/her flow in the tank using one app. First, we had the Riser and Mover and now we will also have the Skemer. Me: I actually wanted to ask you about the app. I’ve been waiting for a final release for some time now. Mattia: The app is finally out! We finalized it and released it a couple of weeks ago, both in iOS and Android versions. Me: That’s great news. What can you tell me about the app? Mattia: It’s a final version of the app, it has the voice control, so for example, you can now say “ Set channel A to 30%” and it will do that through the app. 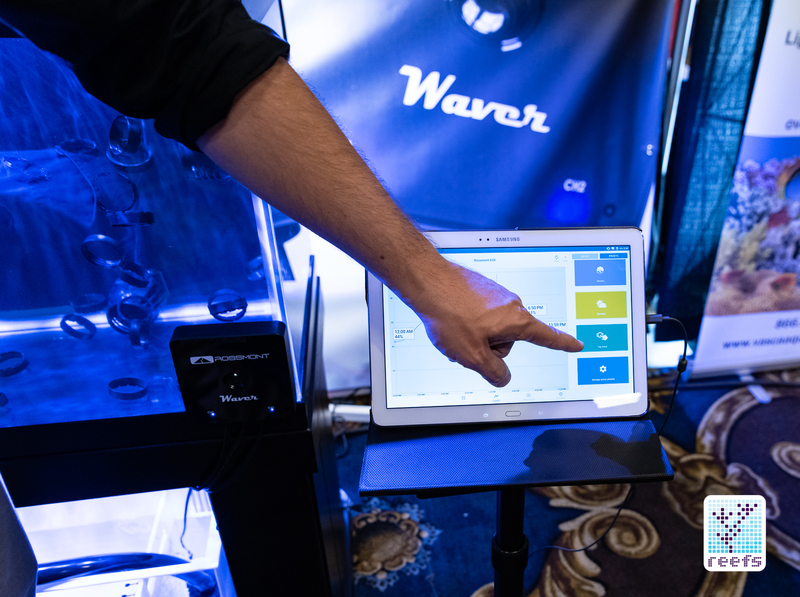 It also features our signature “tap Wave” function where users can set their own Wave in the tank by simply tapping the app screen to set intervals between waves. Me: Let’s go back to the skimmer for a moment. You said before that you are very proud of the new Skemer line. Please tell me, what was your goal when designing it? Mattia: I wanted to put a big motor on the skimmer, because in my opinion, to produce the finest bubbles, you need a big motor. 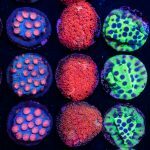 In order for the needle impeller to produce the finest bubbles and the most of them, and then move them up the skimmer body, you need a lot of power. Our pump provides that power. 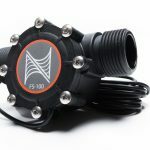 Me: Since I first switched my old skimmer with an AC pump to one with a DC controlled pump, I became a big proponent of the controllable skimmer pump and the advantages it brings for adjusting the skimming rate. I’ll give you an example- when I go on vacation, I reduce my skimmer pump speed from 6 to 4 (on a scale from 1-6) and I found it to be the best way of reducing the skimming rate without the risk of making the skimmer go haywire and overflow the cup. Mattia: Fine tuning. A controllable skimmer pump makes you reach a high level of fine tuning, better than, for example, a hand valve. Plus, you can program different skimming scenarios into the app as profiles. 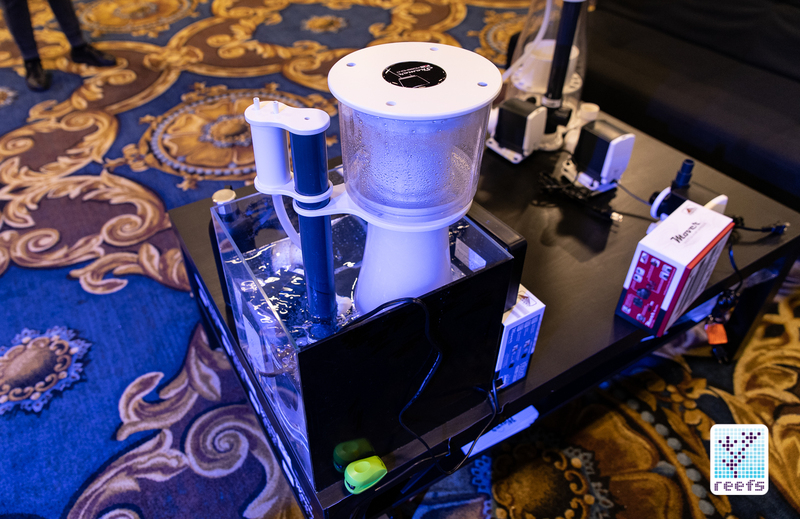 Me: Please tell me- you’ve been trying to introduce the idea of an AC controllable pump to a large group of people as possible- how would you describe the advantages an AC controlled pump brings to the table? Mattia: The great feature with an AC pump is that it doesn’t have a power supply and therefore, you eliminate something that can fail. Perhaps even more important, AC motor provides a reliable, constant flow. I set up this skimmer [pointing at one of the two skimmers shown at the booth] two days ago and didn’t touch it since then. The water level stays constant and it will stay constant for far longer because the pump is AC. You see, when a DC pump gets built up with debris, that creates friction and the pump slows down; when the pump slows down, the power supply gets hotter and can fail. With AC pump, the impeller can’t slow down. In a synchronized AC current motor, it has to run at 60 Hz frequency. It can’t work at 59 Hz, I mean, you can’t lose power. A DC pump loses power after a while. And, with an overworked power supply, it can fail, it can burn. Another aspect of all of this is that we can keep the price affordable because we don’t need to use a power supply. Me: That’s my next question. Do you have a price scheme for the upcoming products? Mattia: Yes. 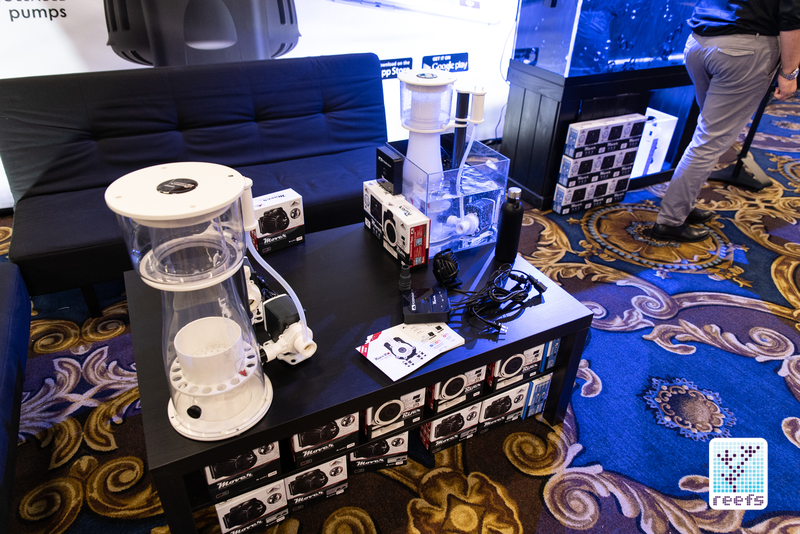 The existing 850g Riser retails at $99, the new Riser Rx 1400g rated pump will be sold at $159, the 1850g model will be $199, and the 2300 gph will sell at $229. 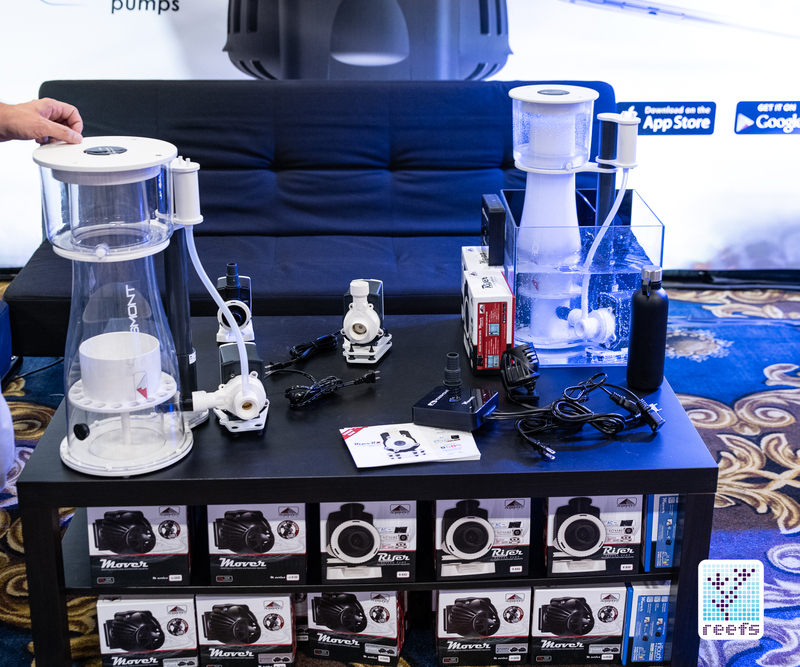 For the skimmers, the 250 gallons rated will retail at $549 and the 500g rated skimmer will be $699. I would like to state that they are not cheap, they are affordable. For that size motor, for this kind of efficiency, it’s a really good buy. Me: I am assuming that all your equipment is still made in-house in Italy… Mattia: Of course. We proudly make all of our equipment in Italy. We offer our clients reliability at an affordable price. Me: Thank you very much and it was really nice talking to you again. Mattia: Likewise, thanks!